Most professionals are content with the stability of their days at work; knowing when the day starts, attending meetings or working alone in their offices, going for lunch and even knowing the exact time of knocking off. This is not so with Jonathan Sinden, an Asset Management Executive at Liberty Two Degrees. Indeed, life in the building environment is turning out just as he had planned when he studied towards a Bachelor of Science degree in quantity surveying at the University of KwaZulu-Natal (Durban). “When I was still in school, my friend’s father encouraged me to become a Quantity Surveyor. He said I should become the money man,” Sinden reminisces fondly. 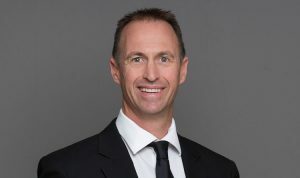 After graduating, he spread his wings quite a bit in the corporate world by becoming Senior Surveyor for UK-based EC Harris, a Development Manager at Group Five and Absa Property Development as well as being an Asset Manager for Absa Capital “where I gained extensive experience in the property industry”. Along the way, he enrolled for the Property Development Programme from the University of Cape Town’s Graduate School of Business. He has been a member of the Royal Institution of Chartered Surveyors since 2002. 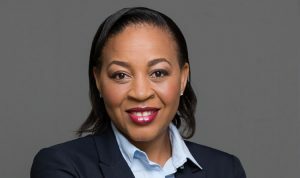 Mkhabela’s portfolio at Liberty Two Degrees comprises of shopping centres and industrial assets and her job entails monitoring the performance of this property portfolio and driving returns through income optimisation. “I have to ensure that the assets are performing as projected, manage risks and ensure that service providers deliver accordingly for the success and optimal performance of the assets,” she says. It’s a job she does with admirable efficiency and it fulfils her “seeing the impact of my decisions on the business and our clients”. One of the challenging aspects of her job is dealing with the results of factors outside her control such as the performance of the greater economy. “When businesses are not doing well, vacancy rates increase in our assets, rentals go down and consumers spend less in our malls. This, consequently, leads to low return targets,” she says. Her advice to aspirant asset managers is to believe in the lasting value of the property sector. “Property is the place to be and is one of the safest investment vehicles, and this includes our houses. There will always be a need for bricks and mortar,” she concludes. Brian Unstead, an Asset Management Executive at Liberty Two Degrees. Brian Unstead is passionate about being an Asset Management Executive at Liberty Two Degrees. When it comes to work around property deals, he likes getting things done and being in the thick of action. “I enjoy being involved in the retail sector, especially opening new stores or shopping centres, and working on feasibilities. No two days are ever the same and that’s what keeps me passionate about my role,” Unstead says. Unstead boasts 23 years of experience in the property sector. In 2013, he joined STANLIB from Liberty Properties where he held the title of Senior Finance Manager in property development. He was primarily responsible for the financial management of the business and feasibilities of all new and refurbishment projects. 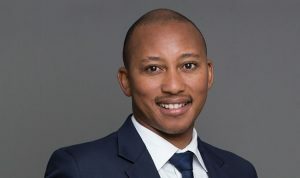 When Liberty Two Degrees, Liberty Group’s real estate investment trust (REIT), was listed on the JSE in December 2016, he jumped at the chance to join the team. “A dynamic team was being assembled and the opportunity to work on some of the most iconic retail assets in the country was very appealing,” he says. He was well equipped for the move. Unstead holds a Bachelor of Commerce from the University of Witwatersrand, an MBA, a post Graduate Diploma in Business Management both from Wits Business School and an Advanced Certificate in Shopping Centre Leadership from the University of Pretoria in conjunction with the South African Property Owners Association (SAPOA), with distinction. So far, he enjoys the culture at Liberty Two Degrees and for a chance to daily rub shoulders with team members, all of them exceptional and capable property professionals. “We have an experienced team. It’s a diverse team with diverse views. This diversity tests the status quo and most times ensures that best decisions are made,” he enthuses. His daily work routine involves attending to voluminous amounts of tasks. “First, it is the usual reviewing of and attending to e-mails. So it depends what the priorities are at the time. It could be reviewing reports, dealing with a crisis of some sort, planning, reviewing financials, reviewing budgets, working on leasing and marketing strategies, preparing reports for formal governance meetings or working on feasibilities. We are also very hands-on with developments we work on at any given time,” he says. 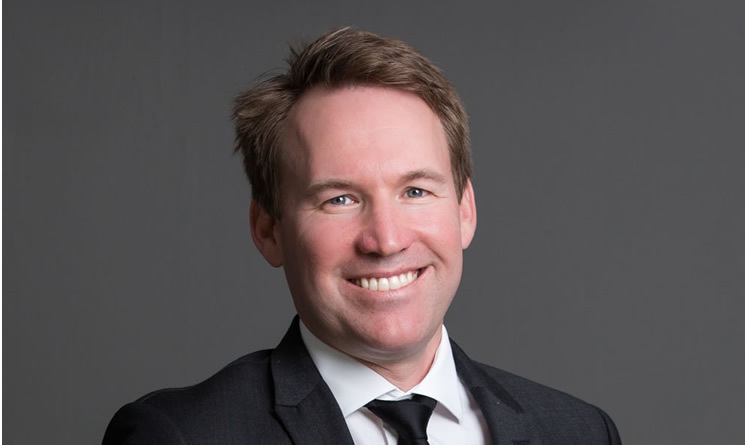 Vengeni boasts 12 years as a property practitioner. After graduating with a Bachelor of Science in Property Studies from the University of Cape Town, he became a professional Property Valuer. He is registered with the South African Institute of Valuers, the South African Council for the Property Valuers Profession, and the Estate Agency Affairs Board. During his career he has been involved in property valuations for most of the South African listed property sector on behalf of Marriott/Old Mutual Properties and was formerly an Asset Manager at Vunani Property Investment Fund (now Texton) and a Non-Executive Director at JHI in 2010. Vengeni joined STANLIB in 2012 as an Asset Manager for the Liberty Property Portfolio (LPP). In that post, he was responsible for internal property valuations and third party mandates in Lesotho and Swaziland. He then took the responsibility for LPP transactions and valuations and has been involved in the disposal of Greenacres Shopping Centre, the acquisition of Botshabelo Mall, Melrose Arch Precinct and John Ross Eco Junction in Richards Bay. His passion for property valuation dates back to when he was still a youngster at high school. “At the time, one could only qualify as a Property Valuer if one was a Quantity Surveyor. Fortunately, the University of Cape Town introduced a BSc degree in Property Studies in 2000 and I was one of the first students to be enrolled,” Vengeni says. Fortunately for him, doors to acquiring knowledge about the property industry opened quite early. “I worked in the construction of Canal Walk on behalf of Murray and Roberts as part of vacation work and this was my first introduction to retail property,” he says. Marriott Properties was subsequently bought by Old Mutual Properties and Vengeni joined their valuation team. In 2007, after relocating to Johannesburg, he joined Nedbank’s commercial property valuation division. The following year Vengeni spread his corporate wings again by joining Vunani Property Investment Fund as an Asset Manager and this automatically made him a Non-Executive Director at JHI. Between 2010 and early 2012 he ran his own property valuation business before joining STANLIB. In July 2015, Vengeni assumed the role of Fund Manager for the Southern African Development Community, which entailed “setting up a property fund to assist our existing clients and grow assets under management in line with vision 2020”. The fund will be invested in Swaziland, Lesotho, Namibia, Botswana, Zambia and Mozambique and is currently sourcing capital and possible partnerships. Furthermore, Vengeni sits on the Executive Committee for Bhunu Mall on behalf of Public Services Pension Fund (PSPF) in Swaziland. At Liberty Two Degrees, Vengeni enjoys “analysing different markets and the different property sectors in order to form an opinion of the main drivers of property values”. It disturbs him, though, that some African markets are underdeveloped and, as result, lack accurate information “which makes property valuation advisory tricky”. In Zimbabwe I saw replacement value used as market value and although this means properties store their value it can be misleading when looking at underlying net income,” he says. Vengeni salutes his colleagues at Liberty Two Degrees. “The team is young and dynamic and the opportunity to make a big impact in the industry is there for everyone,” he says. When he looks back on the journey travelled, Vengeni is proud of his achievements. “My journey has given me exposure to a premium portfolio from an asset management point of view, fund management experience in the Southern African Development Community, Non-Executive Director at JHI Retail and now Business Development and Valuations Executive at Liberty Two Degrees,” he says. For laying the foundation of his career advancement, Vengeni is grateful to his mentor Tim Moulder, whom he met in his very first job. “His impact has been more in the property valuation space where he taught me attention to detail and reignited the love of property valuation within me. There are grey areas in property and mentors help bridge that gap,” Vengeni says. A key lesson in his current position is that “the current economic environment is uncertain and what makes sense today can be different after an economic shock such as an economic outlook downgrade”. Which is why he advises young asset managers to “acquire knowledge first before chasing money”.